In the race towards the discovery of a ninth planet in our solar system, scientists from around the world strive to calculate its orbit using the tracks left by the small bodies that move well beyond Neptune. 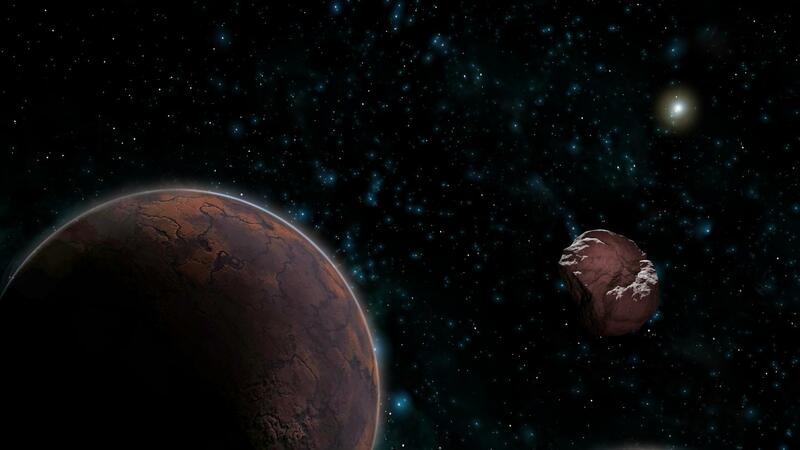 Now, astronomers from Spain and Cambridge University have confirmed, with new calculations, that the orbits of the six extreme trans-Neptunian objects that served as a reference to announce the existence of Planet Nine are not as stable as it was thought. At the beginning of this year, the astronomers K. Batygin and M. Brown from the California Institute of Technology (Caltech, USA) announced that they had found evidence of the existence of a giant planet with a mass ten times larger than Earth's in the confines of the Solar System. Moving in an unusually elongated orbit, the mysterious planet will take between 10,000 and 20,000 years to complete one revolution around the Sun. Now, however, brothers Carlos and Raúl de la Fuente Marcos, two freelance Spanish astronomers, together with scientist Sverre J. Aarseth from the Institute of Astronomy of the University of Cambridge (United Kingdom), have considered the question the other way around: How would the orbits of these six ETNOs evolve if a Planet Nine such as the one proposed by K. Batygin and M. Brown really did exist? The answer to this important question has been published in the journal Monthly Notices of the Royal Astronomical Society (MNRAS).